The regime is brutal. 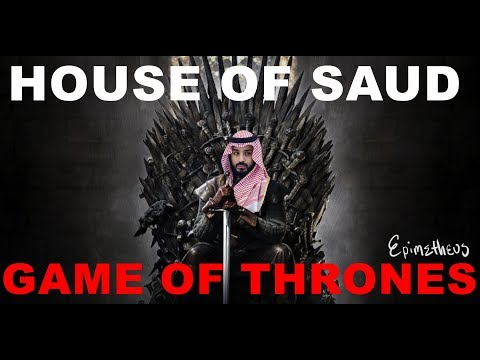 MBS is trying to play a game: "I saw nothing, did you see anything?" ((Hides bone saw)) "Nope, I didn't see a thing. Basically, when do the sanctions get slapped on Saudi Arabia? After eleven September Saudis have improved a lot theirs actions abroad, and paid for keeping closed eyes. The so call free world had been corrupted by Al Saudi royal family. The west only chase the rest of third world countries about human rights,democracy,and freedom, because they don’t have enough money to paid like Saudi Arabia. He just wanted to make his homeland a better place... So tragic. I'm so sorry that our world has come to such a heartbreaking place. I believe that the good people of this world will rise up and bring us back into balance once again. And the death of this kind, gentle man will not be in vain. They've been doing this for decades. They are making mess and chaos in Yemen. Regime must be stopped. It is both tragic and worrying that Saudi Arabia was willing to carry out this attack in such a public arena and risk the consequences from the international community. Unfortunately the truth may never come out. The very interesting wording is "joint inspection". So any Turkish investigator would have a minder watching and reporting their every move, preventing them from taking evidence, or even taking photographs. And after a two week delay, any notion of an intact or uncontaminated crime scene is likely gone. It is too much to hope that MBS is handed over? Nah, they would take them to every room that had a bag full of cash in it and leave them alone to investigate. Exactly - i mean if he died during interrogation - someone in the embassy surely had to know something up was happening. These rogue killers just walked in found him and killed him? A bit suspicious - we'll see as more news roles out. That would surprise me, but there again they've been pretty much caught red handed. If such statements such as this came from the CNN field reporters of the 1st Iraq war era, I might believe them. Unfortunately, while some of those same people are still alive, they appear to have been abducted by aliens, stripped of their human cores and returned to CNN. Now, at CNN and others, "sources" could mean my mother in law, or Wolf's mother in law, or that guy down the hall by the water cooler. They have simply lost all credibility. It is so bad, in my opinion, that even if Wolf called in an old Middle East marker nobody would believe him. It's a shame, really. The Wolf who cried wolf one time too many.